Survival in the filthy towns of Middle Age Europe was not easy. Rivers were contaminated and in cities such as London and Rome conditions were especially bleak, as butchers and tanneries dumped all their waste into nearby rivers and lakes, poisoning them in the process. Cholera and other water-borne diseases were man’s biggest killer, and half of all children in cities died before their sixth birthday. 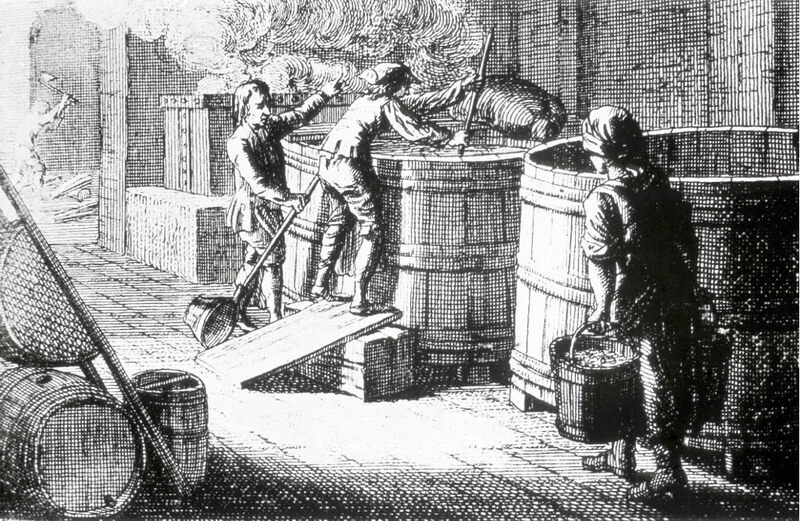 Eventually, people discovered that when they brewed contaminated water and turned into beer, fewer people seemed to get sick. In effect, they were killing e-coli and other such bacteria in the water and making it safe to drink. While we now know that it was the boiling which killed off the bacteria, people at the time did not know this. They boiled the beer to improve its taste, and assumed that beer itself was the saviour. Hallelujah!